Think of a wheelchair user, and you might not automatically imagine a person who explores the outback all that much. However, that might change once you hear about the Ripchair 3.0, a wheelchair with muscle. 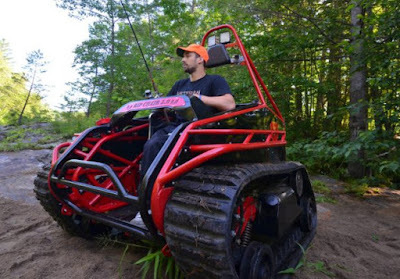 Makers Howe & Howe Technologies say they will even modify the Ripchair 3.0 to each customer's requests, fitting storage pods and even gun racks. Yes, now even disabled people can stalk, and mercilessly murder, innocent animals. Huzzah!